“Two fire alarms within a half hour were sounded. The first blaze under the floor of one of the old shacks back in the boys’ dorm was extinguished. The second fire, at the north end section of the horse sheds, burned in twelve minutes.” No injuries reported. On the evening of September 12, 1910, a fire broke out in the basement of McFie Hall. Students discovered the fire while walking across campus to a meeting. 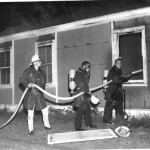 They were able to save a few typewriters and some other pieces of equipment, but were unable to extinguish the flames. 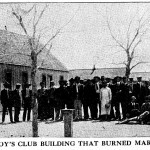 Less than three hours later, the fire had destroyed the structure and all of its remaining contents including the bell that used to summon the students to classes. The loss of the building and equipment is about $35,000. More than a century later, McFie Hall’s cornerstone still stands on the NMSU Horseshoe, next to the flagpole. 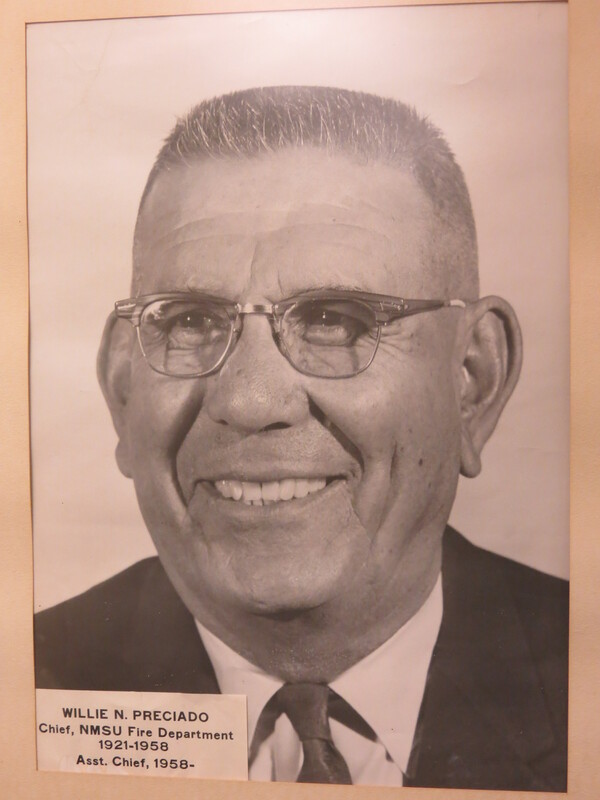 Willie N. Preciado was appointed as the first Fire Chief. “Zeta Tau Alpha Lodge resident barracks was destroyed by fire on March 15. One couch, three valuable paintings, the sorority plaque, a number of card tables and chairs were destroyed. The living room appears to have received the most damage from the fire which burned extensively in the floor and ceiling.” No injuries were reported. Given to Leonardo Solis B., Jefe del Cuerpo de Bomberos, C. Juarez, Chihuahua, Mexico by NMSU FD Chief George R. Huff. 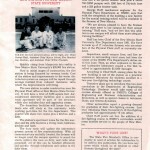 It was made up of majority volunteer staff members who were full-time employees and three student members. 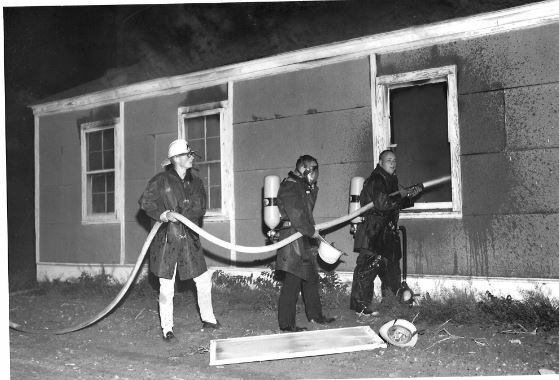 On November 15, 1966, NMSU firefighting students battle a blaze at the World War II temporary housing. Photo provided by Robert Robbins who visited our “new” station on September 14, 2015. Thank you Robert! During his tenure, Chief Pope realized the need for growth due to the campus population growth. He recognized the need for more firefighters but there was no budget for a dorm. Chief Pope converted his one bedroom apartment into two rooms. He lived in his living room and two additional students took over his old bedroom bringing the total number of student firefighters to six. The average pay for student firefighters was $1.25 per hour (but could not exceed 20 hours per week) and students lived in the fire house for free! This computer has “one of the most sophisticating dispatching systems in the nation. 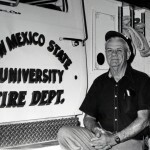 The computer system allows a fire fighting team to evaluate a fire situation more quickly by eliminating steps in the current dispatching process.” August Martin is NMSU Fire Chief. Fire scare hits single dorms and the 900 to 1,000 residents were evacuated from their rooms at Alumni (Avenue Residence Center). An electrical failure resulted in some motors burning out at an Alumni electrical pump. The overload affected the south and southeastern side of campus.” Fire Chief Harry Butler is quoted. “The cause of the fire in Foster Hall last Sunday is undetermined, although it is believed to have been started by a power supply shortage or a piece of biology research equipment. The fire was extinguished when a PVC water pipe was ruptured. Most damage resulted from smoke and soot. NMSU Fire Chief Darrell Smith it’s too soon to determine what caused the fire.” No injuries were reported. This specialized unit is used for transport of personnel to support heavy rescue, technical rescue and hazardous material responses. To support outdoor special events, two UTV’s were purchased. NMSU Fire Department has had a history of having paid administrative staff but not paid firefighters. In early January, we hired two firefighters (Eric Adair-NMSU FD Student Alum and Richard Largent). Eric left us later in the year and became a Albuquerque firefighter. Robert Boehms was hired in November to replace Eric. Louis Huber was hired on January 16, 2014. Check out his bio under our Staff section on the website. 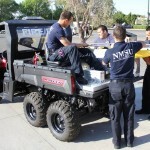 The New Mexico State University Fire Department ranks in the top of the class. Following a recent Public Protection Classification survey from Insurance Services Office, NMSU received a rating of 3/3X, which is among the top five percent in the nation. According to data from 2008, only nine fire departments in the state of New Mexico received a score of three or better. Nationally, NMSU ranks in the top 750 of 14,000 departments. 2018 – Fire Chief Carrillo announces that the NMSU Fire Department has a new ISO rating of a 2/2X effective July 1, 2018. 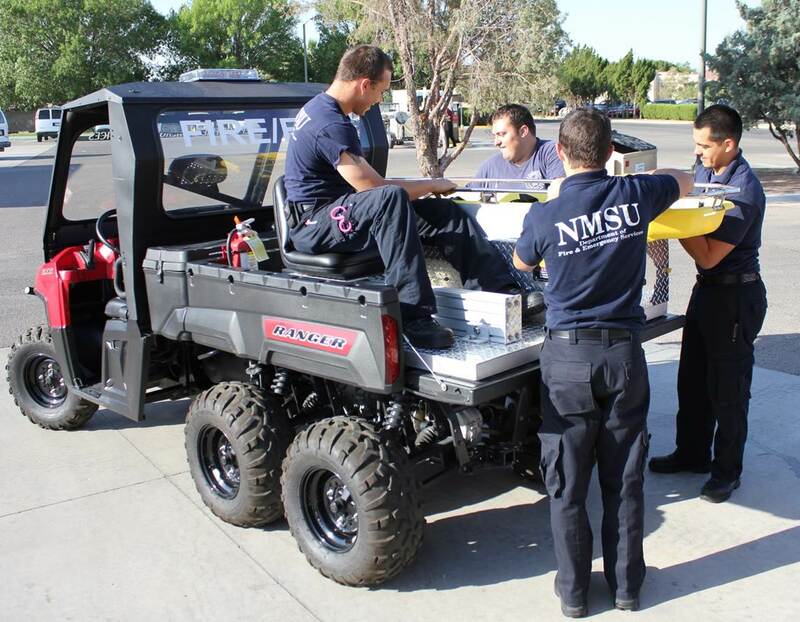 This new rating ranks NMSU’s Fire Department among the top 3 percent in the nation. This is the second upgrade in the past 4 years. 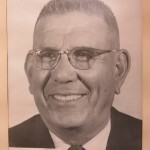 All of the quotes, unless noted, were taken from the NMSU’s The Round Up from 1909 to present. 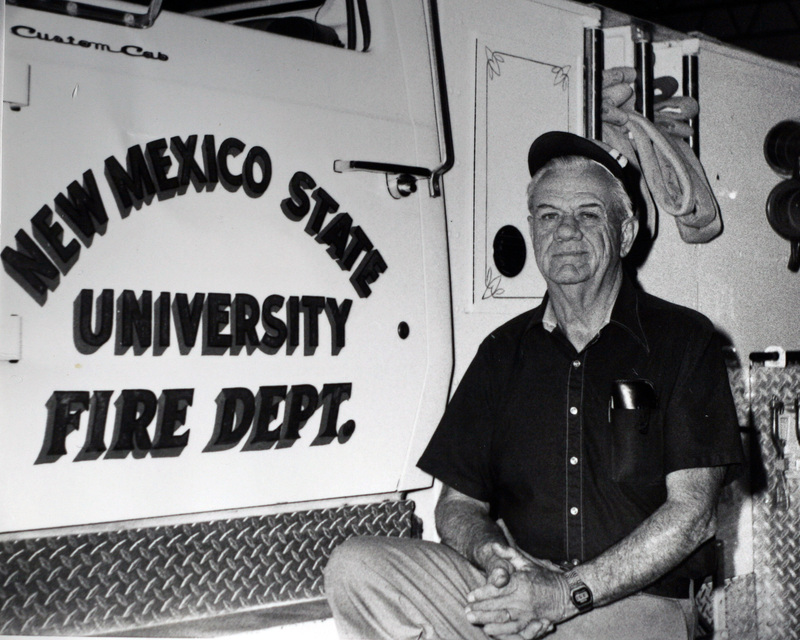 If you want the reference for a specific quote, please email the Fire Department at FireServices@nmsu.edu with the year and quote.